This may come as a surprise to you that simply listening to music can improve your quality of life. In history, a lot of people of different ages benefited from music therapy. Most adult day services often include music therapy in memory care treatment in order to slow the decline of speaking skills among seniors with dementia. Rhythmic tones heard in music stimulate particular areas of the brain to improve cognition and regulate blood flow. Music is known for gathering people together. As an adult medical daycare in Dundalk, Maryland, we recognize that social awareness and involvement is vital in enhancing senior’s social well-being. That is why it’s good for seniors to connect with other members of the group by means of music. Meanwhile, music therapy helps reduce feelings of isolation and loneliness. Listening to music is proven to help people deal with stress and anxiety by reducing the levels of stress hormones and lowering down high heart rates. 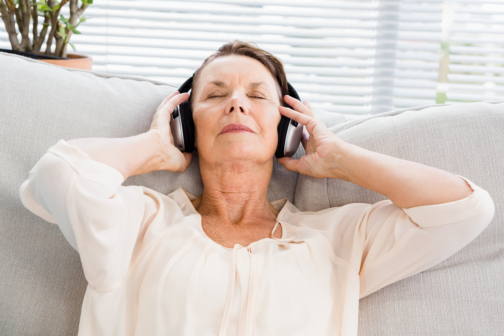 Therapists use certain rhythms, lyrics, or themes to help seniors relax. Music can motivate seniors to get moving, whether through dancing, clapping, or tapping their toes. The use of drums and tambourines is also encouraged in order for seniors to participate and make their own music. As an adult daycare in Baltimore, Maryland, we believe that participating in music therapy can have profound effects on seniors’ physical, mental, and emotional well-being. This entry was posted in Senior Care and tagged Music Health Benefits, Music Therapy, Therapy for Seniors. Bookmark the permalink.